As a lesson withdrawn from the periodical global recession, the academic literature has paid high attention on the role of leadership developing in helping organizations overcome the crises, and focus on long-term benefits rather than short-term gains (Hayward, 2011). Nevertheless, we still know quite little about defining characteristics of effective leadership (Goffee & Jones, 2000; Hogan and Hogan, 2001); or to be more precise, our current understandings about leadership do not keep pace with its contextual changes. The paper attempts to address new thinking of the leadership concept. Firstly, the paper presents traditional perspectives of leadership, including the singular focus on organization values rather than broader society; the fixed set of skills or competences for leaders; the attention to individuals rather than aligning to organizational strategy; and the issue of ‘visionary’ terms when leaders communicate with their subordinates. These assumptions then result in challenges for leaders in managing their organization. Rethinking leadership, therefore, aims to look for the dynamics of leadership and its development process. Leadership needs to be more organizational strategically focused and future-oriented in order to adapt with constant changes. Finally, the paper introduces ‘sustainable leadership’, which is a relatively new concept. While in theory, it can help address current challenges of leadership but there is still a need of more empirical research in order to testify the return performance of this ‘sustainable leadership’ concept. Over the past few years, the world economy has experienced unprecedented economic crises in which many big corporations collapsed, especiallyduring the Global Financial Crisis in 2008. Consequently,millions of people lost their jobs and push their families into struggles to survive. It seems not to make any sense that why these top multinational companies can fall so easily or why the capable and intelligent leaders can mess up so badly (Casserley & Critchley, 2010). As a lesson withdrawn from these periodical global recessions, the academic literature has paid high attention on the role of leadership development in helping organizations overcome the crises, and focus on long-term benefits rather than short-term gains (Hayward, 2011). Nevertheless, we still know quite little about defining characteristics of effective leadership (Goffee & Jones, 2000; Hogan and Hogan, 2001); or to be more precise, our current understandings about leadership do not keep pace with its contextual changes.Hence, this paper attempts to address new thinking of the leadership concept. Before jumping to those suggestions, it is firstly necessary to discuss how traditional leadership perspectives become inappropriate and how current challenges are brought into managing organizations.Finally, the paper introduces the concept of ‘sustainable leadership’ as a new perspective that can adequately address the discussed challenges. Most leaders and others who talk, teach or consult about leadership believe that leadership is to control the organization towards the ultimate purpose of maximizing the organizational values (Casserley & Critchley, 2010). The authors used a metaphor to describe the relationship between leaders and organizations, in which companies are ‘machines’ and leaders are ‘drivers’,‘engineers’ or ‘mechanics’. The problem of this perspective lies in the singular focus of the organization and its values because recentlyit has been challenged by social activists.In companies, there is a significant increased attention from other stakeholders (government, customers, employees, educators, etc.) who have interests of how companies contribute to minimize the environmental impacts and hence, improves the social welfare (Murray and Greenes, 2006). Thus, leadership is not just about leaders and their own organization’s values, but also thesociety atlarge. Another assumption is that leadership is constructed mainly as a fixed set of skills or particular competencies (Casserley & Critchley, 2010). Therefore, no matter what leader’s attitudes and motives are, he can achieve the expected performance by acquiring these required knowledge and skills with experience. It might be too ‘naive’ to assume that everyone has ‘right’ attitudes and motivations when they leadan organization. Casserley and Critchley (2010) also claimed the correlation between leadership development activity and their effective performance islittle. In short, having theserequired skills and competencies is not good enough to be an effective leader. Hayward (2011) also pointed out that, in the past, leadership development activities weremostly focused on the development of individuals only, while not being usually aligned with the organizational strategy. Today, there is a need of leaders who arenot onlycompetent, but also ableto connect with their strategic organizational goals, and make a change within the workforce. As a result, team-work is the new leadership development’s focus that is believed to bring success for organizations during this time of turbulences. Talking about leadership, it is frequently spoken by champions and optimists in ‘visionary’ terms such as visions, goals, purposes, etc. (Hotho & Dowling, 2010). The authors meant, leadership is to communicate their visions to employees, andrecognizethe needs of their organization. It might not be a problem with those ‘visionary’ terms, but an effective leader is the one who, via communicating with employees, can translate his or her visions into reality. Those leaders must be aware of pitfalls such as limitations of current organization’s operating contexts, conflicts in the workforce and the unwillingness to take responsibility, or poor leadership attributes of their seniors. The meaning of leadership concept, therefore, should be specific and practical. The discussion about ‘visionary’ terms links to the theory of transformational leadership (Bass, 1985), which has been a popular approach to conceptualize leadership. Transformation leadership means that a leader stimulates his or her followers to change their motives, beliefs and values as well as capabilities for the purpose of these followers having interests and personal goals congruent with the organization (Bass, 1985). In 2001, Barker’s study challenged this popular theory by pointing out that Bass’s theory can also be impliedthat the task of a leader is mainly to supervise subordinates, to inspire or motivate them to make them work harder for the organization’s performance. What Barker (2001) was trying to say, is that, the ultimate purpose of the organization is its performance (i.e. to maximize profits) rather than the well-being of employees, society and the environment. Together with inappropriate traditional leadership perspectives are changes in today’s context (Higgs, 2003). These changes in social values includebusy lifestyles, stressful working environment or different ways of communication between people. Debates between shareholder values versus ‘intangible’ values have been going on because most leaders still focus on short-term benefits rather than long-term gains. As the society develops, organization’s sizes also increase massively, and hence, the changes in organizational structure and communication also become more complicated for leaders to implement changes. Today’s leaders face difficulty in making complex strategic business decisions in a shorter time frame while still being able to quickly adjust their organizations with conditional and contextual changes (Murray & Greenes, 2006). With constant changes of current economic situations, understanding leadership is to understand its dynamics. Indeed,leadership is about making choices (Kouzes & Posner, 2003). There are usually two sets of choices, the desired and undesired ones, or motivations for leaders are either socially-oriented or individual-oriented (Mostovicz, Kakabadse, & Kakabadse, 2009). These choices will eventually decide leader’s behaviors, as the former focuses on people and relationship while the latter focuses on the self and autonomy. Because the choices are equally valid, leaders just choose the one which fits their principles or morals. That also means, in practice, there is no one-size-fits-all or ‘ideal’ leader; and the only way for leaders to improve is to interact with others to find the best solution. The two-year study of Work Foundation (2010) also points out the key finding that the highly people-oriented approach to leadership results in exceptional performance.In fact, leadership is not about any particular individual;it rather emerges at both top management and different levels within an organization (Newton, 2009). In the past, leaders’ responsibilities are to fulfill organization’s goals but today the focuses are more strategic and future-oriented (Hayward, 2011). Thus, leadership development programs no longer focuses solely on individuals as leaders, but strategically at different levels of the organization. As a result, nowadays global managers highly value the importance of team-building. The Figure 1 below reflects new perspectives of leadership development and brief explanation of what each perspective means (Gabrielsson, Seristo, & Darling, 2009). Based on the type of choice leaders make and their behaviors, Mostovicz et al. (2009) view leadership as a development process. Through the timeline of the past, present and future, the purpose of leadership is to assist the organization to adapt with changes (Kotter, 1990; Heifetz, 1998; Nanus, 1995). The past of the leadership timeline refers to the self-awareness component which is defined as “having a deep understanding of one’s emotions, strengths, weaknesses, needs, and drives” (Goleman, 1988, p.84). However, the self-awareness component is not deep enough to fill the gap between one’s intellectual understanding and his ability to apply this knowledge because emotions are mostly embedded in the subconscious. The present refers to the social environment where a leader acts. The trait found in effective leaders is empathy, which is “the ability to understand the emotional makeup of other people” and “the skill of treating people according to their emotional reactions” (Goleman, 1988, p.88). However, sometimes leaders are even unclear about their own values and purposes; they are unable to sympathize others. The future means that every human-being needs a purpose and people might get frustrated when they realize that they cannot achieve their goals. To reach the goal, leaders need motivation, which is “a passion to work for reasons that goes beyond money and status” and “a propensity to pursue a goal with energy and persistence” (Goleman, 1988, p.88). But again, how can leaders achieve their goals if those are unclear? The brief overview of leadership timeline aims to prove that leadership development is not fixed and behavior requirements to be an effective leader are changing over time. Leaders must be ones what initiate changes and help their organizations adapt to those changes. The current economic situations reflect that if an organization cannot keep pace with rapid changes and fast technology development, there is a high risk that it will be eliminated sooner or later. Leadership or ‘sustainable leadership’ is still a concept which people may have different interpretations. Similarly to any other theories, ‘sustainable leadership’ theory is required to answer three key questions – What, How and Why (Whetten, 2002). These questions, respectively, refer to the goals that leaders want to achieve, the ways they will achieve and reasons behind those methods. The idea behind ‘sustainable leadership’ concept is also related to the dynamic of leadership as a development process which has been discussed. Casserley and Critchley (2010) mentioned about sustainable leadership as the new paradigm which integrates three core individual processes and their engagement with the organization’s culture. 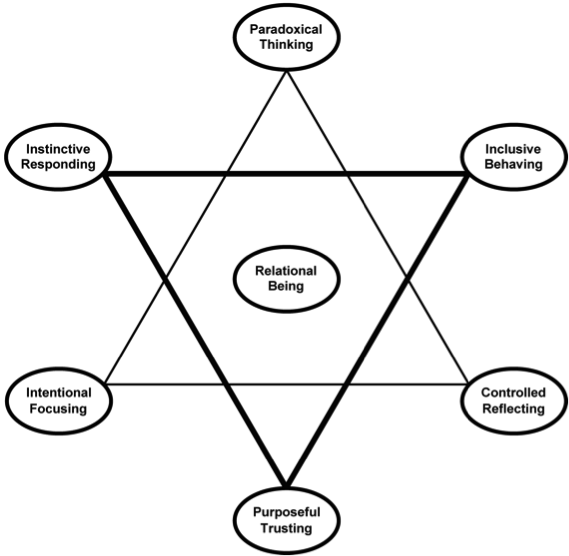 These three core individual processes are: reflection on action (learning through doing); psychological intelligent (having a clear sense of personal purpose and awareness of personal assumptions and motivations); and psychological well-being (effective management of stress and sufficient self care). The processes are relevant to what attributes of leaders which have been mentioned massively in leadership literature. However,what makes ‘sustainable leadership’ concept different is the integration of three core processes into the culture of the organization, which makes effective leadership development and creates sustainable leaders, who are more likely generate sustainable organizations. Again, sustainable leadership should also be seen as a process (Svensson& Wood, 2007). The authors divided the concept into a series of sequentially and seamlessly phases, as shown in Figure 2. 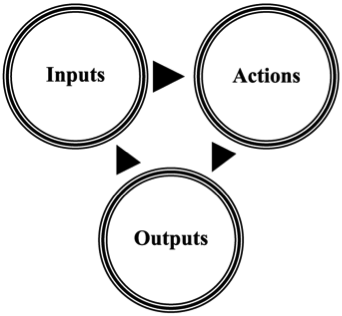 The first phase is ‘inputs’, which means the expectations of involved stakeholders. Internal stakeholders may be shareholders, the board, CEOs, top management and employees. In contrast, external ones include suppliers, customers, government and general public. The second phase focuses on ‘actions’ that undertaken (i.e. the actual perceptions of those involved stakeholders). The third phase stresses the ‘outputs’ that are stakeholders’ evaluation of their perceptions. After the third phases, stakeholders might develop ‘new’ expectations for leaders and that reconnects to ‘inputs’ phase. This concept, which is a continuous and iterative process, is thought to be able to address contextual changes over time and therefore, to achieve sustainable leadership ethics (Svensson& Wood, 2007). The second part of Figure 2 mentions about the conceptual framework (Svenson& Wood, 2007). Lists of words under each of ‘Inputs’, ‘Actions’, ‘Outputs’ are meant to reflect the dynamics of sustainable leadership’s continuous process. They are the guidance on what and how to achieve sustainable leadership. For instance, the number of different ‘inputs’ influences the expectations created on sustainable leadership ethics such as associations, competition, education, etc.The number of different ‘actions’ impact the perceptions of sustainable leadership ethics, such as those of competitors, customers, leadership, shareholders, etc.And finally, a number of different outputs affect the evaluation of sustainable leadership ethics, such as behavior, citizenship, economy, environment, etc. 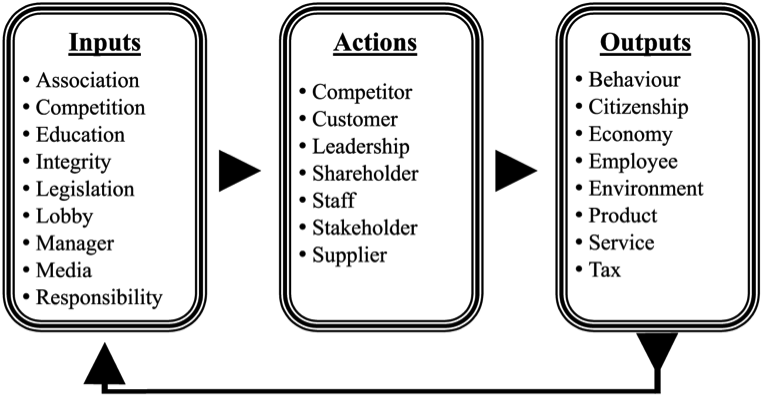 Figure 2: Sustainable leadership ethics process (above) and conceptual framework (under) (Svensson& Wood, 2007). The paper attempts to present traditional perspectives of leadership, including the singular focus on organization values rather than broader society; the fixed set of skills or competences for leaders; the attentionto individuals rather than aligning to organizational strategy; and the issue of ‘visionary’ terms when leaders communicate with their subordinates. These assumptions result in challenges for leaders in managing their organization. Rethinking leadership, therefore, aims to look for the dynamics of leadership and its development process. Leadership needs to be more organizational strategically focused and future-oriented in order to adapt with constant changes. Finally, the paper introduces ‘sustainable leadership’, which is a relatively new concept. While in theory, it can help address current challenges of leadership but there is still a need of more empirical research in order to testify the return performance of this ‘sustainable leadership’ concept. Bass, B. (1985). Leadership and Performance Beyond Expectations, Free Press, New York, NY. Bennis, W. (2007).The challenges of leadership in the modern world.American Psychologist, 62(1), 2-5. Casserley, T.,&Critchley, B. (2010).A new paradigm of leadership development.Industry and Commercial Training, 42(6), 287-295. Gabrielsson, M., Seristo, H., & Darling, J. (2009).Developing the global management team: a new paradigm of key leadership perspectives.Team Performance Management, 15(7/8), 308-325. Goffee, R.,& Jones, G. (2000). Why should anyone be led by you? Harvard Business Review, September-October, 63-70. Goleman, D. (1998). What makes a leader? Harvard Business Review, 76(6), 93-102. Hayward, S. (2011).Connecting leadership development to bottom line benefits.Strategic HR Review, 10(1), 28-34. Heifetz, R. A. (1998). Leadership without Easy Answer, Harvard University Press, Cambridge, MA. Higgs, M. (2003). How can we make sense of leadership in the 21st century? Leadership & Organization Development Journal, 24(5), 273-284. Hogan, R., & Hogan, J. (2001).Assessing leadership: a view from the dark side.International Journal of Selection and Development, 9(1/2), 40-51. Hotho, S., & Dowling, M. (2010).Revisiting leadership development: the participant perspective.Leadership & Organization Development Journal, 31(7), 609-629. Kotter, J. P. (1990). What leaders really do.Harvard Business Review, 68(3), 103-111. Kouzes, J., & Posner, B. (2003).The Leadership Challenge, 3rd ed., Wiley, San Francisco, CA. Mostovicz, E. I., Kakabadse, N. K., &Kakabadse, A. P. (2009).A dynamic theory of leadership development.Leadership & Organization Development Journal, 30(6), 563-576. Murray, A. J., &Greenes, K. A. (2006). Workplace innovation: Enterprise of the future – New Leadership strategies for the enterprise of the future. The journal of information and knowledge management system, 36(4), 358-370. Nanus, B. (1995). Visionary Leadership.Jossey-Bass, San Francisco, CA. Newton, S. (2009). Editorial: New directions in leadership. Construction Innovation, 9(2), 129-132. Svensson, G., & Wood, G. (2007). Sustainable leadership ethics: a continuous and iterative process. Leadership & Organization Development Journal. 29(3), 251-268. (The) Work Foundation (2010). Exceeding Expectation: The Principles of Outstanding Leadership. The Work Foundation, London. Whetten, D. H. (2002).Modelling as theorizing: a systematic methodology for theory development.In Partington, D. (Ed. ), Essential Skills for Management Research, Sage Publications, London, 45-71. An impressive share, I simply given this onto a colleague who was doing a little bit evaluation on this. And he in fact purchased me breakfast as a result of I discovered it for him.. smile. So let me reword that: Thnx for the deal with! But yeah Thnkx for spending the time to debate this, I really feel strongly about it and love studying extra on this topic. If doable, as you develop into expertise, would you mind updating your blog with more particulars? It’s highly useful for me. Massive thumb up for this blog publish!